No more boring Presentations! 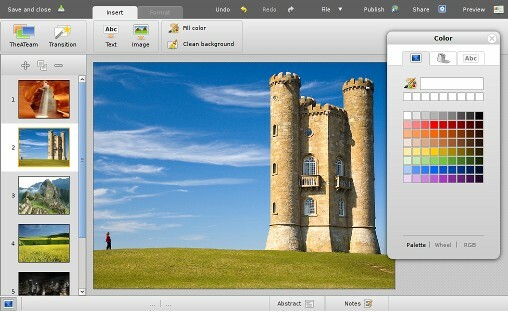 The 10 best PowerPoint Alternatives! No one can dispute that PowerPoint is the most popular presentation tool out there. In the Business world, PowerPoint is the absolute standard. Ever since Microsoft released PowerPoint businesses have used PowerPoint for sales presentations, idea pitches and even for webinars. Until recently there has been no real alternative to PowerPoint and a “Top 10 best PowerPoint alternatives” list was not even possible. 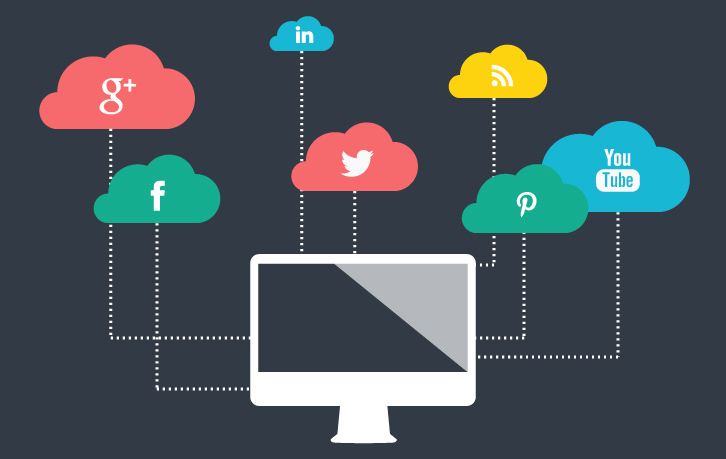 But slides, slideshow, presentation have become synonymous with BORING and the term “PowerPoint alternative” has been rising in Google Trends. So, if you are looking for PowerPoint alternatives, want some cool new presentation templates or just interested to see what new presentation options are out there. Here is our list of 10 Best PowerPoint Alternatives! Our number one, in our top 10 best PowerPoint alternatives, is Powtoon (no surprise here). Powtoon is the undisputed king of “interesting.” If you really want to inspire your audience with a great pitch, story, and emotional hooks, this is the way to go; Powtoon allows you to present using animated characters and to introduce yourself or your product using “storytelling” rather than “fact telling.” Most importantly, you can create short animated video clips from your presentations and embed them into your website (within 3 clicks). Prezi’s presentation software made it to our top 10 best PowerPoint alternatives because it’s a great tool for non-linear presentations. Sometimes known as the zooming presentation tool, some people have actually complained that Prezi gave them motion sickness. Prezi is a bit much with all the flying objects and movements, but it’s the best tool for those who need to constantly jump from one part of their presentation to another. Keynote made the third place in our “Top 10 best PowerPoint alternatives” list because of its easy to use user interface (in comparison with PowerPoint). Initially, Keynote was only available as a software download for Mac users who won’t touch Microsoft PowerPoint if their lives depended on it. Nowadays, it’s available for Windows PC people too. It allows all the same functions as PowerPoint, but it’s just much easier to use. We love the potential that iCloud brings to Keynote but hate the iPad application. Preszentit is another PowerPoint look alike. Unlike Prezi, there is nothing groundbreaking here… But it does allow you to create impressive presentations without downloading any presentation software. This beta version is still in Alpha mode and is not even close to usable, but we chose it as 4th place in our “top 10 best PowerPoint alternatives” because the user interface has such potential. Its simplicity is brilliant. Prezentit’s strongest feature is it’s ‘transitions’ capability, so if you want killer bullet points that transition really well — you should really check it out. The Cons: Not reliable, limited functionality. *Editor’s Note (2019): Sadly, we say goodbye to Presentit after they’ve since been discontinued as an available presentation product. As much as we hate to admit it – SlideRocket is really cool. They’ve invested heavily in user interface design and it has definitely paid off. (Note to Microsoft PowerPoint team – this is what your presentation software should have looked like)! As is always the case, good quality comes with a price and SlideRocket is not cheap, but if you have to choose between this and PowerPoint, well PowerPoint loses. 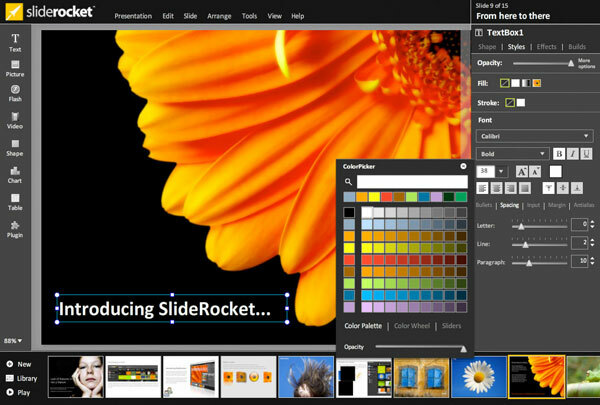 SlideRocket is number 5 on our “top 10 best PowerPoint alternatives” list because creating amazing slides is what this presentation software does well. The Pros: Well-invested interface, some great features. 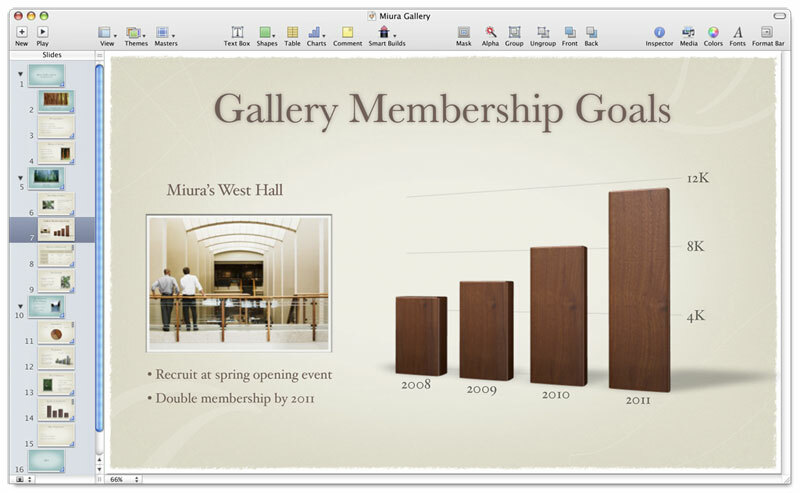 Want to read about 5 more of our “top 10 best PowerPoint alternatives” picks? 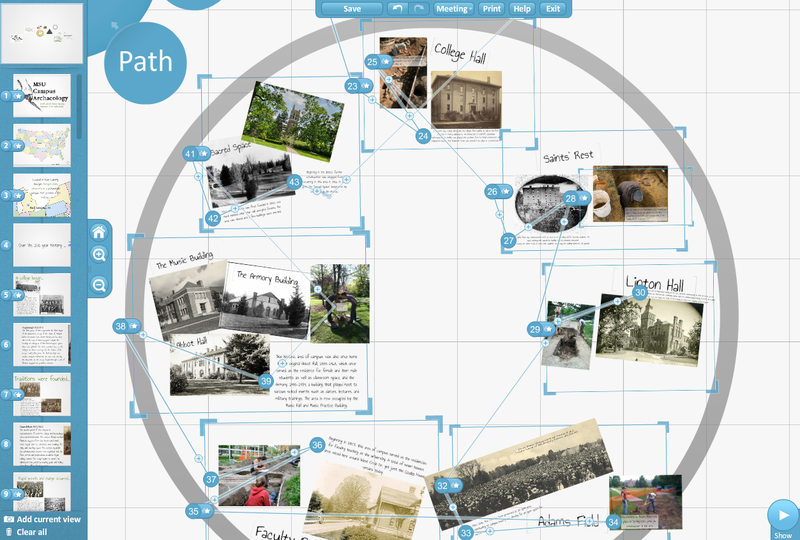 Check out Part 2 of this blog post: 5 Best Prezi Alternatives!